Not only does Penny Lane PAY CASH, we've also GOT CASH! The FULL SET of the legendary Johnny Cash American recordings, have just arrived - ALL SIX ALBUMS are now available on Vinyl. 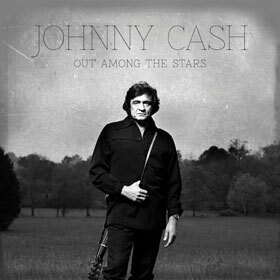 Also just in- the latest Johnny Cash CD ‘Out Among the Stars’ - a posthumous studio album from Johnny Cash, released on March 25, 2014. The recordings come from lost 1980s sessions with famed countrypolitan producer Billy Sherrill which were shelved by Cash's record company, Columbia and discovered by Cash's son John Carter Cash in 2012.